Douglas Kondziolka, M.D., M.Sc., FRCSC, FACS Douglas Kondziolka is the Peter J. Jannetta Professor and Vice-Chairman of Neurological Surgery at the University of Pittsburgh. Dr. Kondziolka received his medical degree from the University of Toronto and graduated from the Toronto neurosurgery residency program in 1991. From 1989 to 1991 at the University of Pittsburgh, he completed a master of science program in the Department of Behavioral Neuroscience and a fellowship in stereotactic surgery and radiosurgery. He joined the faculty of the Department of Neurological Surgery at the University of Pittsburgh in January 1992. He serves as the Associate Residency Program Director, and Vice- Chair for Education. He is the neuroscience task force leader for the McGowan Institute for Regenerative Medicine. His pioneering work in stereotactic radiosurgery spans the breadth of that field including studies in cerebral vascular malformations, benign and malignant brain tumors, trigeminal neuralgia, epilepsy, and movement disorders. Dr. Kondziolka served as principal investigator of the first two clinical neurotransplantation trials for the care of patients with stroke. He serves as an advisor to an NIH funded Quantum Grant on neurovascular regeneration. Dr. Kondziolka has published 405 articles in refereed journals, 200 book chapters and/or invited publications, and has edited 8 books. He has completed four randomized controlled trials. He is a two-time recipient of the Stephen Mahaley Award for brain tumor clinical research from the Joint Section on Tumors of the AANS/CNS. He received the Lars Leksell Award from the World Federation of Neurosurgical Societies. In 2004, he was honored as the Penfield Lecturer of the Canadian Neurosurgical Society. In 2006 he received the Robert Florin Award of the American Association of Neurological Surgeons for socio-economic research, and in 2007, the AANS Integra Foundation Award. In 2007 he received the Jacob Fabrikant Award from the International Stereotactic Radiosurgery Society. He is a Past-President of the American Society for Stereotactic and Functional Neurosurgery, Past-Chairman of the Joint Section on Stereotactic and Functional Neurosurgery of the AANS/CNS, and Past-President of the International Stereotactic Radiosurgery Society. In 2006-2007, he served as President of the Congress of Neurological Surgeons. He has been a visiting professor at the top institutions in the United States and Canada, and has lectured extensively across the world. He is listed in Best Doctors of America. He serves on the editorial board of numerous journals and is a principal editor for Neurosurgery. Dr. Kondziolka has had a leadership role in numerous medical journals, and holds senior editorial board positions for Neurosurgery, Journal of Neurosurgery, Stereotactic and Functional Neurosurgery, and Canadian Journal of Neurological Sciences. He was the founding editor of Radiosurgery. He provides ad hoc reviews for many other journals including the New England Journal of Medicine. He has directed the Publications Committee of the Congress of Neurological Surgeons, and negotiated contracts between publishers and medical societies. His focus was in the development of tools to promote scientific communication, global access and the creation of new quality science. 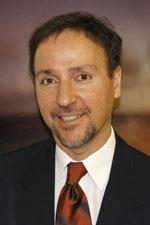 Together with Dr. Anthony Asher, he created Integrated Medical LearningSM, a novel interactive learning concept that has revolutionized education and created new interactive science since its inception at the 2007 meeting of the Congress of Neurological Surgeons (http://www.neurosurgeon.org/meetings/2008/attendees/iml.asp). An additional project to foster rapid interaction from neurosurgeons worldwide was the CNS NeuroWiki. Because of his interest in promoting multilingual publication, the September 2007 issue of Neurosurgery contained abstracts in both English and Japanese, a first in neurosurgical publication.